In celebrity news, according to People.com, things are looking tense between celebrity exes Kourtney Kardashian and Scott Disick. In a sneak peak at Sunday’s episode, the two exes sit down to discuss the three children they share. The conversation comes after Disick decided to introduce his 20-year-old girlfriend Sofia Richie to their children. Disick and Richie have been dating for almost a year now. Although the relationship caught some unexpected glances at first, a source confirmed that as long as it helps the father of three to remain happy and healthy, he has the Kardashians’ blessing. In celebrity news, Kourtney Kardashian isn’t pleased that her ex Scott Disick introduced their kids to his new girlfriend. What are some ways to navigate new relationships when you have kids? In celebrity news, celebrity couple Scott Disick and Sofia Richie enjoyed a date night after Richie posted videos of the couple’s puppies on social media, according to EOnline.com. Hours after Richie posted the adorable videos on Instagram, the couple was photographed leaving Shibuya, an Asian restaurant, in Calabasas. The couple was dressed comfortably and casually on their night out. Disick and Richie seem to be really happy together. How cute! This celebrity couple is still going strong and enjoying dates. What are some ways to keep the spark alive in your relationship? …Click here for some love advice! After continuous break-up drama, EOnline.com reveals that celebrity exes Kourtney Kardashian and Scott Disick are very happy with their new normal. Kardashian and Disick have figured out how to successfully co-parent their three children while still very much enjoying their personal lives. Both celebrity exes have seemingly moved on relationship-wisem as Kardashian dates Younes Bendjima and Disick has his arm around Sofia Richie. Kardashian and Disick schedule time to spend both as an entire family together, and individually with their children. In latest celebrity news, Disick is still part of the Kardashian family, as he also spends time with Khloe Kardashian and Kris Jenner. These celebrity exes are proving they can be successful at co-parenting. What are some tips for successful co-parenting? Kourtney Kardashian‘s ex Scott Disick and girlfriend Sofia Richie were all lovey dovey during their celebrity vacation in Mexico, according to EOnline.com. The celebrity couple posted photos on Instagram. Both were having fun and a ton of PDA was going on. According to a source, the couple is very happy, always have fun, and were making out and all over one another often during the vacay. This celebrity getaway is getting steamy. What are some things to consider when it comes to public displays of affection? According to a source, 34-year-old Scott Disick said that he is “in love” with 19-year-old girlfriend Sofia Richie. According to UsMagazine, the couple have shared their intimate moments around the world where it’s easier to remain private. Richie’s friend Chloe Bartoli, an old fling of Disick’s, has stopped talking to Richie, but it’s no loss. Richie’s father Lionel Richie claims his daughter is just as infatuated with with Disick. Despite the three children Disick has with Kourtney Kardashian, the celebrity couple are receiving support from the Kardashian clan. This celebrity couple must be getting more serious if Scott Disick is using the “L” word. What are some ways to know when to tell your partner you love them? Uh oh, it looks like celebrity exes Scott Disick and Kourtney Kardashian are making celebrity news yet again. According to EOnline.com, Disick was very upset he was not invited to her sister, Khloe Kardashian’s surprise birthday party. In a preview for next week’s Keeping Up With the Kardashians episode, a disgruntled Disick confronts his ex, saying, “I would have wanted to be there for her” because he still considers himself part of the family. When asked for explanation, Kardashian explained that she was worried about the photos and press attention – but later reveals that she simply did not want her celebrity ex to be there. The preview ends with Disick calling his celebrity ex “really fake” for not being honest with him. Yikes! This celebrity news shows that these exes aren’t necessarily civil all of the time. What are some parameters you can put on your relationship with your ex if you have children together? As we all know, celebrity relationships are prone to lots and lots of drama. If you’ve been following the Kardashians for a while, it’s no secret that oldest sis Kourtney Kardashian and her ex Scott Disick seem to always have problems surrounding their former celebrity relationship. In the latest celebrity news from EOnline.com, Kardashian reveals Disick has threatened that she “better watch her back” in next week’s Keeping Up With the Kardashians episode. While Kardashian has been dating model Younes Bendjima since last year, it’s clear that Disick still has complicated feelings for his ex. Hopefully they’re able to sort things out for good, and soon! This celebrity news shows some drama that can happen post-breakup in a relationship. What are some ways to keep your ex from affecting your new relationship? …Don’t miss the rest! Click here. This unusual celebrity couple recently shared kisses on a private plane, courtesy of Sofia Riche’s Snapchat story. Richie, 19, who is currently dating Scott Disick, 34, has received a great deal of backlash after going public with her new boo. According to UsMagazine.com, Richie and Disick have taken multiple trips together since the beginning of their relationship in September, so it looks like the two are keeping it romantic and positive — despite some of the negativity they’ve received. Good luck to this new celebrity couple! It looks like this new celebrity couple is keeping things romantic. What are some ways to know if your new partner is a keeper? …Don’t miss the rest — click here to read more! In celebrity news, this dad is not thrilled at his daughter’s rumored love life. What are some ways to deal if your parents aren’t fond of your partner? …Need to know more? Check this out! In celebrity news, it has been revealed that Kourtney Kardashian and Scott Disick are no longer speaking to one another. EOnline.com reports that this is a result of Disick’s recent trip to Cannes, where he hooked up with numerous new girls. Kardashian is still allowing her celebrity ex to see the three kids they have together, 7-year-old Mason, 4 year-old Penelope, and 2-year-old Reign, but there’s no doubt that their relationship is strained. Best of luck to these co-parents! This celebrity news has drama written all over it. What are some ways to keep drama out of your relationship? And just like that, it’s over. 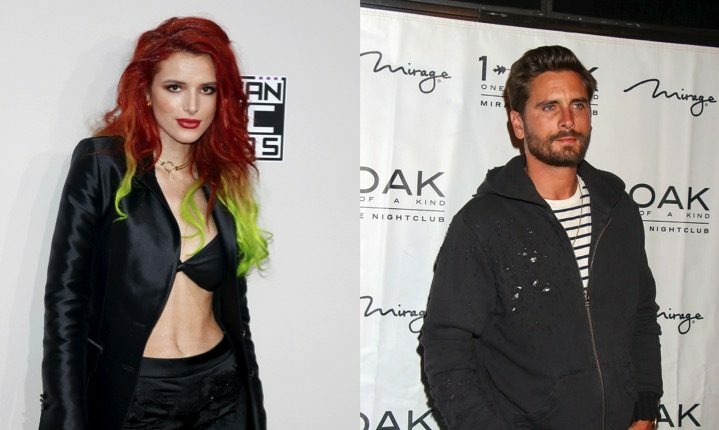 According to UsMagazine.com, Bella Thorne is over Cannes, France after Scott Disick was spotted kissing his celebrity ex Chloe Bartoli. The actress tweeted, “Yo this #cannes fancy life isn’t for me.” As previously reported in celebrity news, Thorne and Disick were first seen at dinner in Los Angeles before they took their budding celebrity relationship to Cannes. There, they packed on the PDA and got cozy poolside. Interestingly, according to past celebrity news, Bartoli is the same celebrity ex that led to Disick’s split from Kourtney Kardashian in July 2015. In celebrity news, that was certainly a short celebrity relationship! What are some ways to know quickly that a relationship is not for you? ….Want to know more? Click here to continue! Is there a new celebrity couple on the horizon? According to UsMagazine.com, Kourtney Kardashian was recently spotted getting cozy with hot model Younes Bendjima on what appeared to be a romantic getaway at Hotel du Cap-Eden-Roc in Antibes, France. Bendjima wrapped his arms around Kardashian from behind in a sweet embrace on the terrace of the hotel in an adorable photo snapped by press. However, although there are rumors that the pair have been spending time together since December, a source claims that Bendjima and Kardashian are keeping it casual. “Kourtney and Younes are not serious,” the source explained, “they are hooking up.” Whatever the label on their celebrity relationship, however, it’s been enough to stir up some trouble when it comes to Kardashian’s celebrity ex, Scott Disick. When photos of Kardashian and Bendjima surfaced, a source claims Disick felt some real pain. “Scott is jealous of Kourtney’s relationship,” the source affirmed. Before this sweet cuddle in France, Kardashian and Bendjima were most recently spotted enjoying their Hollywood relationship in LA in early May. This celebrity couple says they aren’t defining their relationship. What are some reasons to wait on labeling your relationship? …Trying to decide whether or not to wait on labeling your relationship? Click here for more! In recent celebrity couple news, Kourtney Kardashian may be on the verge of a new fling. According to UsMagazine.com, Kourtney has been seeing model Younes Bendjima for a little while now. The pair were most recently spotted on Friday, December 16, outside the SLS hotel in Beverly Hills. “Kourtney contacted him on Friday afternoon and asked him if he wanted to meet up,” an insider told Us. Despite Kourtney’s celebrity ex Scott Disick trying to mend their relationship, she is enjoying having a little fun with Bendjima. While many in her inner circle felt like Kourtney and Scott would eventually end up together, it seems she is enjoying a new young flame! These two may not be a celebrity couple yet, but things are heating up between them! What are some ways to know you’re ready for the label that comes along with a relationship? …Want more celebrity news, click here! This celebrity couple has been through a lot of ups and downs. What are some things to consider before getting back together with your ex? Kylie Jenner documented part of her night out with rapper French Montana on her Snapchat story recently. Montana joked about Jenner’s car choices, and also bought her roses from a street vendor. Montana first made his way into the Jenner/Kardashian circle as the boyfriend and other half of a celebrity couple with Khloe Kardashian. Khloe is currently single and focusing on her celebrity divorce from Lamar Odom, but Montana is part of the family circle. In the latest episode of Keeping Up With the Kardashians, Montana comfortably hangs out with Scott Disick in his new house. E! News reports that Montana doesn’t just hang out with Jenner and Disick, but is also friendly with Kourtney and Rob Kardashian. This celebrity news has us questioning just who is interested in French Montana! What are some ways to avoid crushing on the same person as your friend or sibling? As far as celebrity couples are concerned, Kourtney Kardashian and Scott Disick were one relationship we were all are rooting for, for the kids if nothing else. This former pair had been enduring celebrity relationship problems for quite some time before calling it quits last year. According to UsMagazine.com, Disick has been having a hard time letting go of the 9 year relationship that ended July 2015. During an episode of I Am Cait, the 32 year old admitted to making wrong choices while dating his former girlfriend. Maybe Lord Disick could use a little of Cupid’s love advice. This celebrity news has us happy that wrongs are being admitted. If you do something wrong in your relationship, what are some ways to make it right? …In serious need of love advice? Read on. Former celebrity couple Scott Disick and Kourtney Kardashian went through a rough break-up a few months ago, and Disick is still not over it. According to UsMagazine.com, on the most recent Keeping Up with the Kardashian’s, Disick called Khloe Kardashian expressing his love for Kourtney and how he couldn’t live without her. This celebrity news is really sad. Hopefully Disick and Kardashian can work on their celebrity relationship, romantic or not, especially for their children. This celebrity news proves that even celebs have trouble with break-ups. What are some ways to stay positive after a split? It’s easy to understand why Kourtney Kardashian has been experiencing anxiety issues since her split from celebrity ex Scott Disick. The reality TV star recently opened up on her website about how exercise is helping her deal with her heartache. “My anxiety is always worse in the mornings, so that’s when I schedule my workouts. I usually start with a quick run or jumping rope to warm up,” she writes. “People are very quick to judge others by appearances, but you truly don’t know what someone’s motivation is or what is going on inside them. For me, exercise is as much about my body as it is about calming my mind.” We hope this former celebrity couple can work through their problems and raise their three kids in a peaceful environment! This former celebrity couple is moving on but not without a bit of a struggle. What are some ways to cope with anxiety after a break-up? Kourtney Kardashian made latest celebrity news. According to UsMagazine.com, there has been celebrity gossip that Kardashian has been out and about with Justin Bieber. But, Kardashian just recently spoke out on her reality show, saying that she does not like to date. 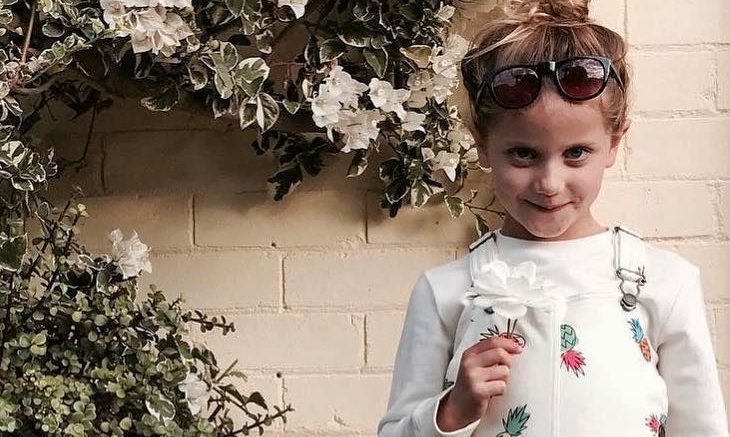 After her split from celebrity ex Scott Disick, she has just been focusing on her three children. This celebrity news is interesting, given the rumors about Kourtney with Justin Bieber. How do you know if you’re interested in someone who likes to date? …Want more information? Click here to continue. 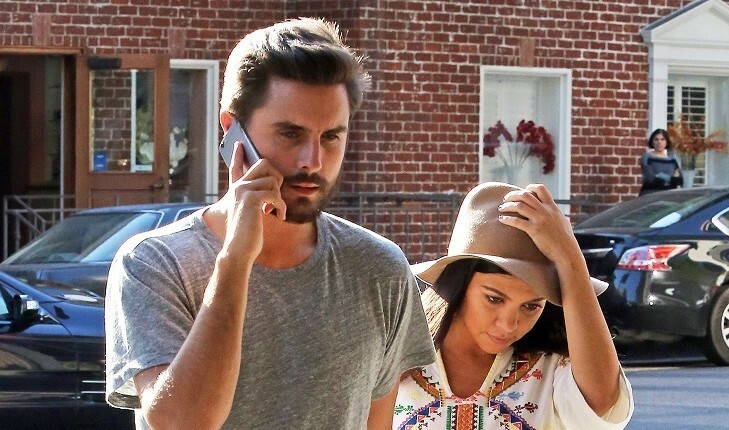 Are Former Celebrity Couple Kourtney Kardashian & Scott Disick Back Together? Keeping Up With the Kardashians’ former celebrity couple Kourtney Kardashian and Scott Disick are rumored to be working on their relationship for the sake of their kids. According to UsMagazine.com, Kardashian is letting Disick back into her life because he is now sober. He recently completed a stint at rehab and is now sober for their celebrity kids Mason, Penelope and Reign. He is really trying to fix his celebrity relationship with Kardashian and her family. This former celebrity couple seems to always go back and forth. What are some ways to stabilize your relationship? 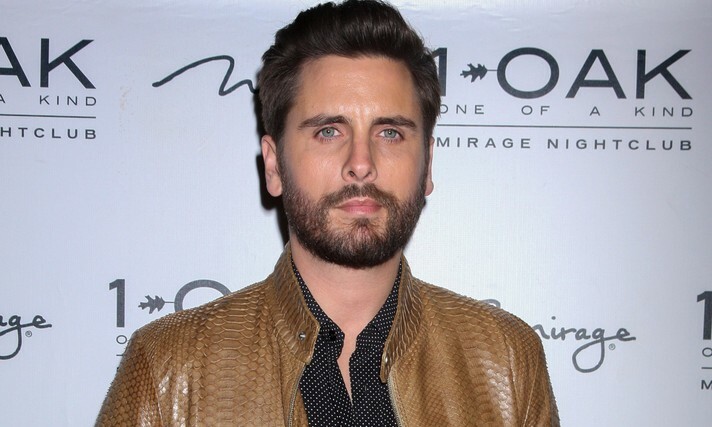 It seems Scott Disick is always in celebrity news lately. What are some reasons to forgive your ex for their mistakes? …Want to be updated on more celebrity news? click here!